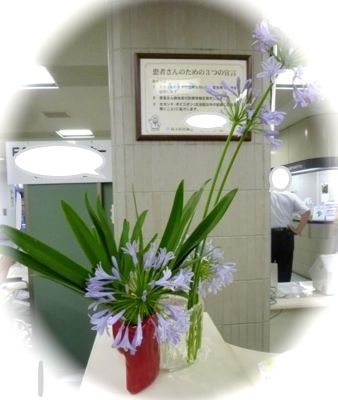 This was for voluntary work at the information desk in the City Hospitala two months ago. 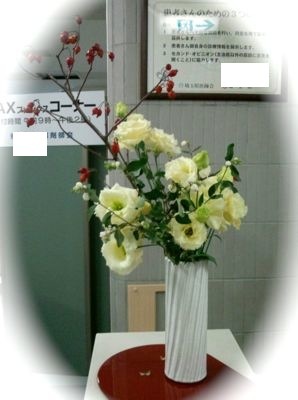 The vase was made of aluminamu by me. 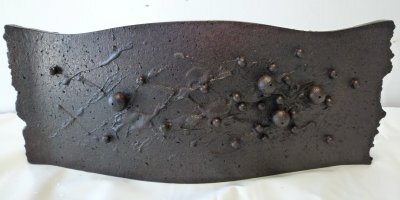 You could see the shape clearly. 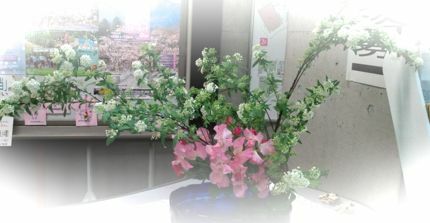 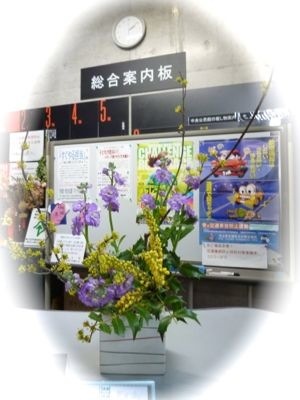 I displayed an ikebana for voluntary work at the information desk in the City Hall a week ago. 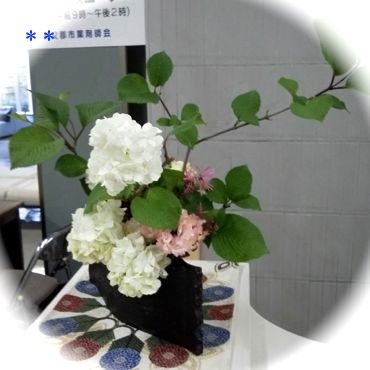 Let me show you my students' works for volunteers. 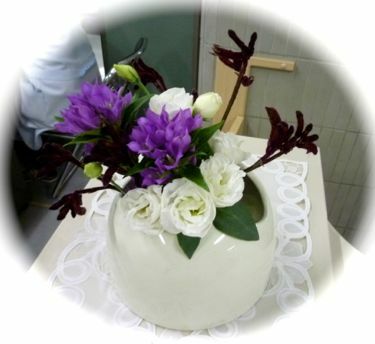 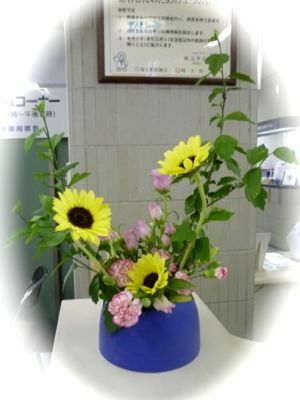 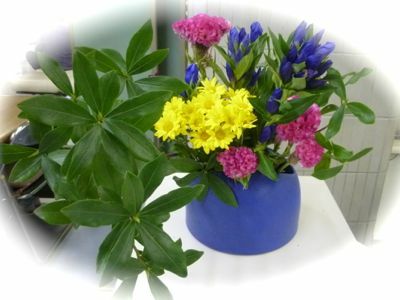 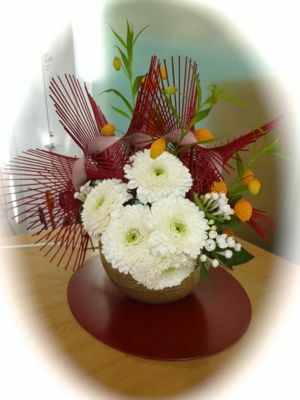 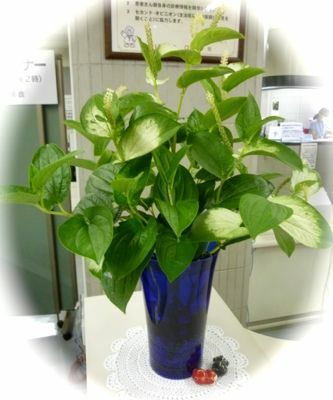 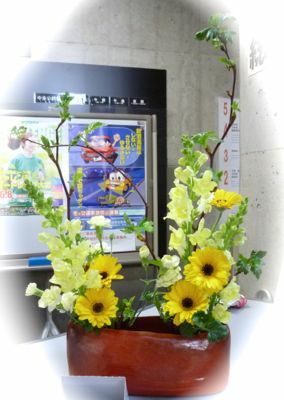 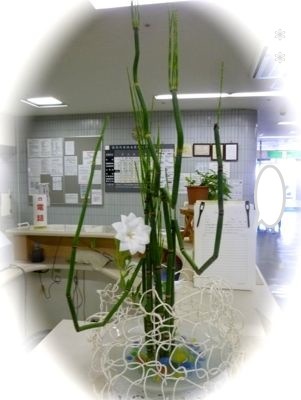 I have displayed an ikebana for voluntary work at the information desk in the City Hall. 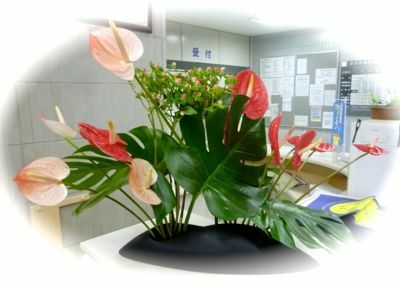 I have displayed some ikebana for voluntary work at the information desk in the City Hall. 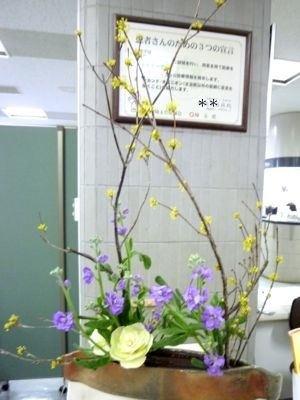 This was for the hospital by turn as volunteers as well.